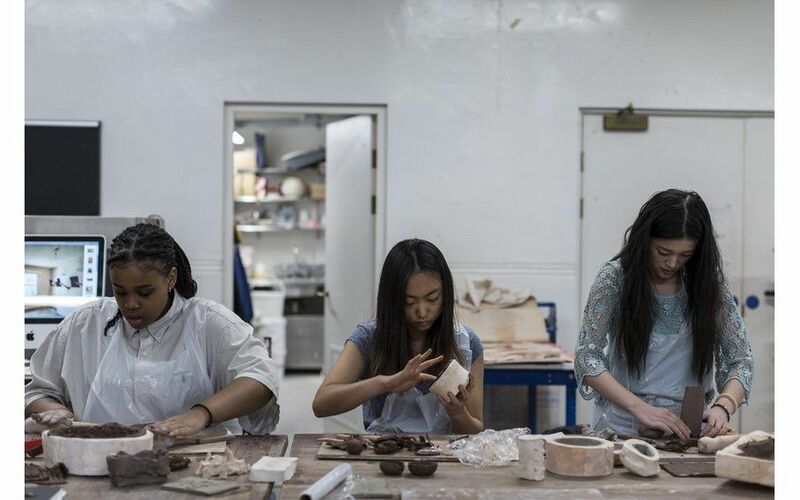 Come and meet Collective Matter and find out more about their Tate Exchange project through a fun, creative clay workshop. Drop-in and contribute to our evolving building site; an exploration of the changing landscape of the local area. Share your stories and build with clay. Collective Matter is a new outreach art group, initiated by Eva Masterman, Mary O’Malley and Katie Spragg. Brought together during their time at the Royal College of Art on the Ceramics and Glass MA, they aim to use clay as a primary vehicle for critical engagement, cross-disciplinary practice, and creative communication and experimentation. Everyone welcome, free to attend. Drop in, no booking required.